Visit Hilton Head Island for PGA-level Golf and Vibrant Beaches- Although it sits off of the east coast of South Carolina, Hilton Head Island is only 20 miles from Savannah, Georgia. This island is a hot spot for golfers, beach enthusiasts, and anyone who wants to have a good time at the coast. If this describes you, then head on over to a Hilton Head beach house for your next vacation. Learn more here! Visit Hilton Head Island for PGA-level Golf and Vibrant Beaches- Although it sits off of the east coast of South Carolina, Hilton Head Island is only 20 miles from Savannah, Georgia. 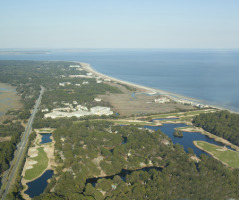 This island is a hot spot for golfers, beach enthusiasts, and anyone who wants to have a good time at the coast. If this describes you, then head on over to a Hilton Head beach house for your next vacation. 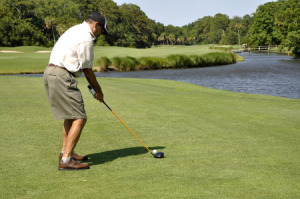 Hilton Head is a fantastic place to vacation for golf fans and golfers alike. The island is loaded with golf courses;there are 24 currently in operation, and many of them are distinguished as some of the best golf destinations in the country. For example, the Celebrity Golf Tournament is held at the Golf Club at Indigo Run, the Robert Trent Jones course, and the Harbour Town Golf Links. The Heritage Classic PGA Tour has been played at the Harbour Town Golf Links on Hilton Head since 1969, and is still hosted here each April. This highly regarded course isn't just limited to the professionals, though;it is a public 18-hole course, so you can book a tee time and play like the pros. For golf fans who are also beach fans, a new service allows beach-goers at Coligny Beach to take a free shuttle to the tournament, or tournament watchers to hit the beach in no time. This will make it easy to get to the tournament straight from the beach without worrying about transportation and parking. Visitors to Coligny Beach can take advantage of a wide boardwalk, restrooms, and outside showers, and they can also take comfort under the watchful eyes of lifeguards. Visitors enjoy riding bikes, sunbathing, and swimming at this beach, and it's easier than ever to get to the beach using the accessibility ramps that lead down to it. The surrounding area is home to many restaurants, stores, and entertainment options. For example, this year the Coligny Outdoor Market will host Lee Jean Jr. of American Idol fame performing with the local band Native. When you step off the beach and into the waves, there is another world of fun waiting. Visitors can book boat tours with Vagabond Cruise. This company has been operating since 1968. They provide services ranging from dinner cruises to nature cruises where they set out to find dolphins. For a quieter adventure, Kayak Hilton Head, Inc. offers kayak tours where dolphins come to feed. If you want to head out on your own, H20 Sports offers Jet Ski rentals, as well as offering parasailing, paddle boarding, sailing tours, and kayak tours. For fisherman, Off The Hook Fishing Charters provides insider knowledge and chartered trips to the best fishing spots. However you explore the waters here, it's easy to find dolphins, alligators, and otters in and around Hilton Head. You can choose a Hilton Head Island beach house rental that is conveniently located to the beach. 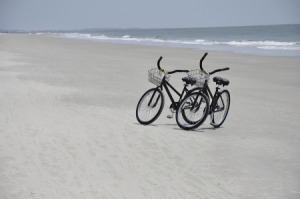 But if you want to go further afield, Hilton Head offers a unique method for getting around. The island has a network of over 100 miles of bike paths that can be used as an alternative mode of transportation, or for biking for leisure. These paths are intelligently connected to residential, commercial, and recreation areas of town. This is because bicycle pathways were planned as part of the infrastructure from the beginning. Getting around on a bike will help you avoid renting a vehicle or using taxi services transportation around the island, and it can be a fun activity for the whole family. People who come to Hilton Head come to enjoy golf, the beach, or both. When you're ready to hit the links or the sand, book a Hilton Head Island beach house rental. South Carolina is waiting for you!